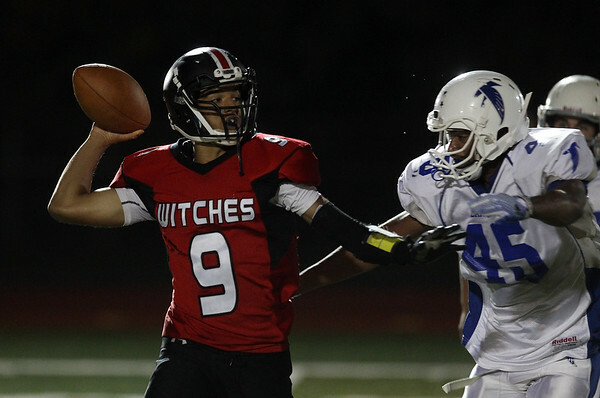 Salem junior quarterback Joel Nunez (9) has to get rid of the ball as a Danvers linebacker closes in. DAVID LE/Staff photo. 10/17/14.